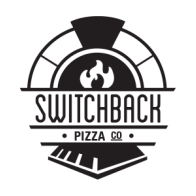 Thank you Switchback Pizza for the fantastic pies yesterday at our Keller Williams Real Estate fall celebration. Everything was awesome and enjoyed by all. If you are throwing a party I highly recommend Switchback! Thank you for a wonderful job yesterday at our wedding. Everyone enjoyed the pizza and salads, and also watching you at work! It was a pleasure working with you from start to finish and we would definitely recommend you to anyone. (We ate one of the left over loaves with dinner tonight--Yummy.) Thanks again for helping make everything go so smoothly. I love your wood fired pizza! So many excellent styles of healthy pizza too! And you know, most people don't realize that what you eat greatly influences how you feel, your clarity of mind, your ability to feel life itself. Sorry, had to throw that in there! At any rate, love you guys! You brightened up my week! Bravissimi! Thanks Marguerite & Co. for putting some love (and pea shoots) into today's pies at Emmaus Farmers Market! The apple sausage, gorgonzola and micro arugula was an interesting taste. We love Switchback! We enjoyed your pizza at the Wagon Tour of Rodale Institute today! Cool set-up and great pizza! Had my first Switchback Pizza this weekend from the Easton Farmers Market- You can be sure I will be back. Best pizza I have eaten in a long time. Look forward to trying other types.